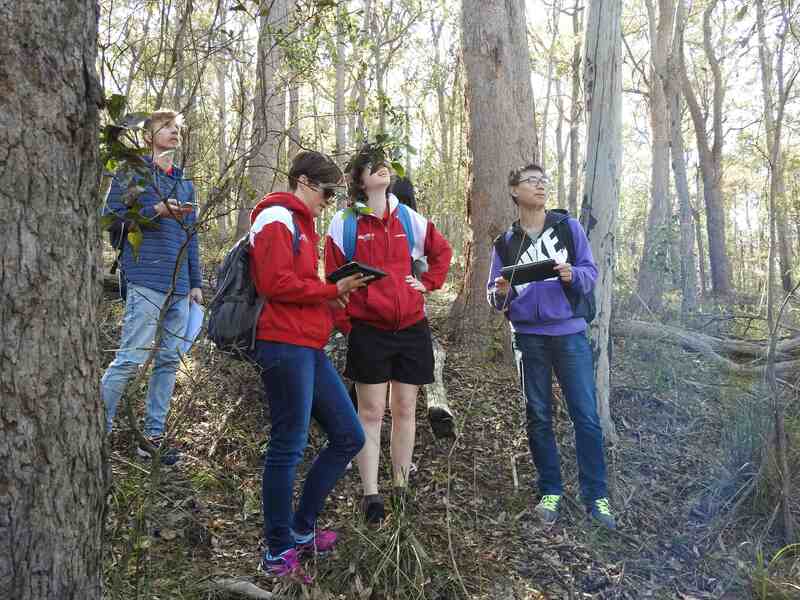 On Saturday morning our Griffith Mates partners joined us at the National Tree Day planting site for some Citizen Science: doing an initial check on the nest boxes installed in July, to see if any boxes were occupied and meeting some of the local wildlife. 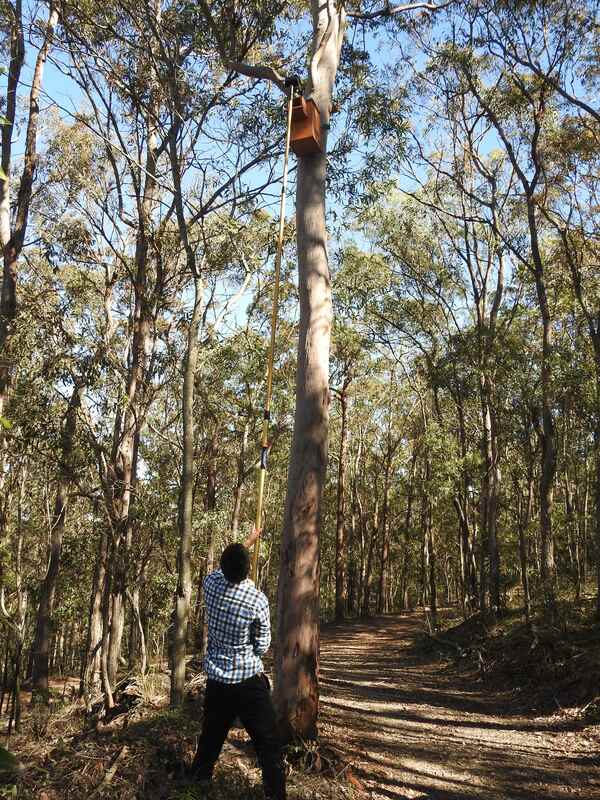 I led the team on an off track adventure to reach the nest boxes. While Carl operated the GoPro camera on the extendable pole the ground crew monitored on iPads using WiFi connection. Carl became a real professional keeping the tall wobbly pole under control while he lifted the lid on each box and inserted the camera. Not surprisingly none of the boxes had been occupied in the short time since installation. However, it is valuable to get a information on how long it takes before boxes are adopted. Then is was back through the bush to the Lantana Busting site. 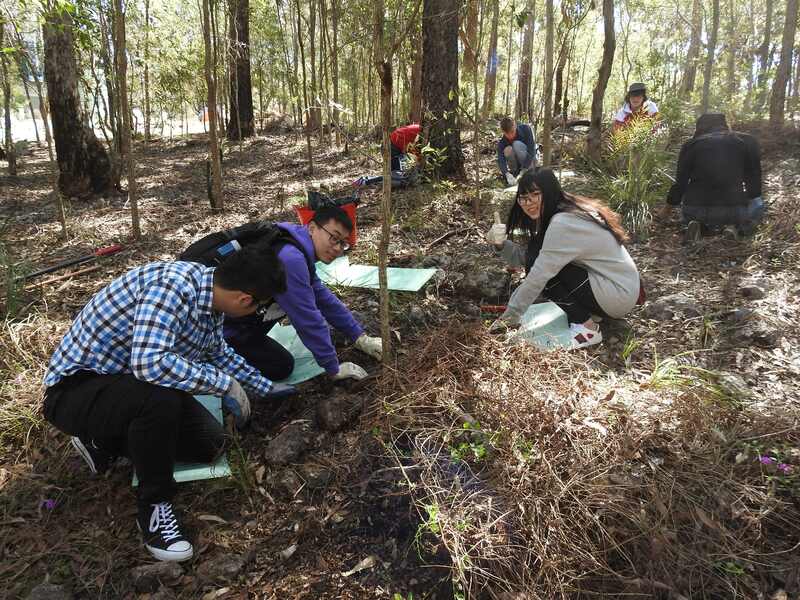 1,600 square metres of Creeping Lantana Lantana montevidensis were cleared and raked into swales on National Tree Day. Now we are doing the detail work of clearing the remaining roots to eradicate this invasive garden escapee. There is an amazing about of wildlife among the leaf litter as well as in the trees. We disturbed a Scolopendrid centipede which I think Baoyi wanted to keep as a pet. 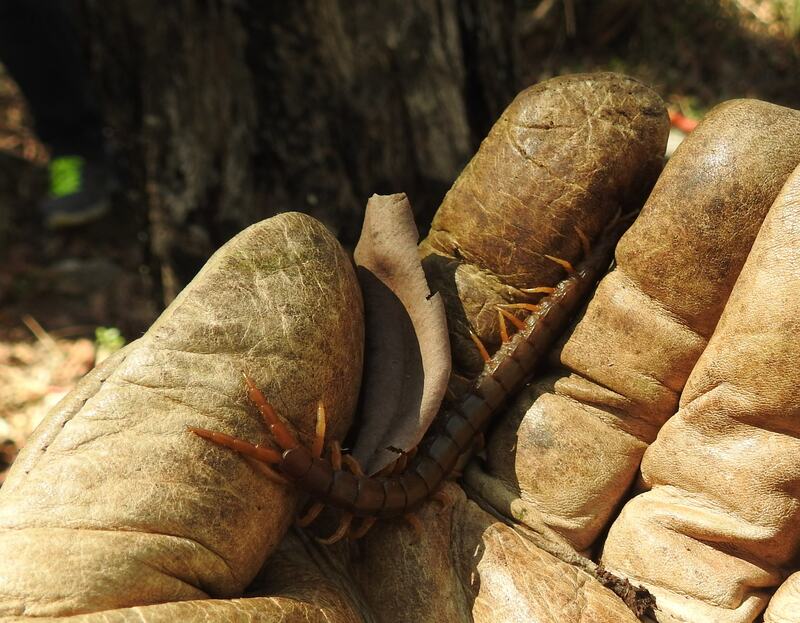 Be careful handling centipedes as they may bite if disturbed or handled. The bite may cause severe pain and associated swelling. Centipedes are predatory and will kill and consume a variety of other invertebrates such as spiders, molluscs, many insects, slaters and other centipedes. Prey is usually immobilised by venom injected through the fangs and then torn into pieces by the mandibles and the soft parts are eaten. All that hard work deserves a reward. 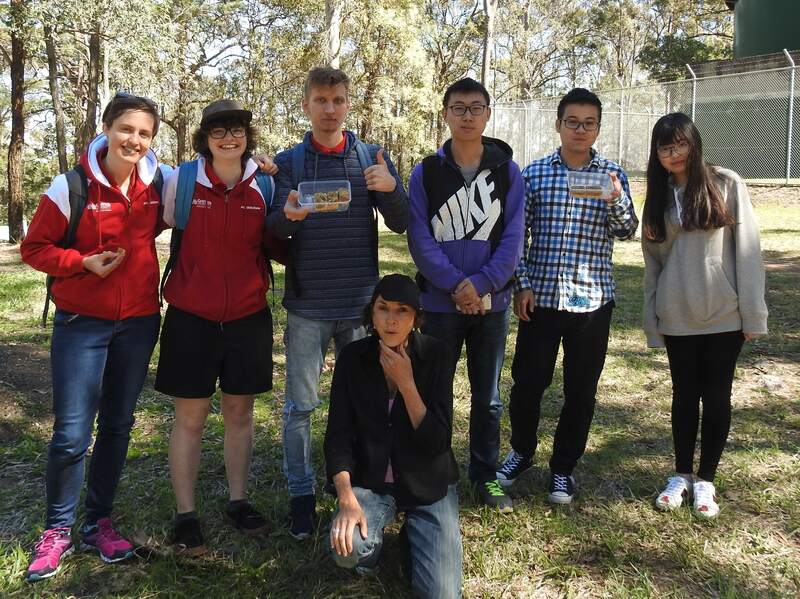 Thanks to Mt Gravatt Environment Group member Dana for the home made cakes.